Nearly three-quarters (72%) of U.S. employers aim to improve their health and well-being strategies and programs over the next 3 years to differentiate themselves from organizations with which they compete for talent. This is up from the 18% that say they do so now, according to the 22nd annual Best Practices in Health Care Employer Survey by global advisory, broking, and solutions company Willis Towers Watson. However, they have work to do: Findings of this employer survey and a concurrent employee survey reveal a sizable disconnect between employers and employees on the effectiveness of their current programs. While more than half (56%) of employers believe their current health and well-being programs encourage employees to live a healthier lifestyle, according to the Willis Towers Watson 2017 Global Benefits Attitudes Survey, just 32% of employees agree. With regard to well-being initiatives specifically, a majority (61%) of employees say their employers’ programs do not meet their needs. When it comes to whether core medical plans meet employee needs, the gap is smaller (81% of employers believe they do compared with 66% of employees). In addition, on the topic of whether employers should take an active role in encouraging employees to live healthy lifestyles, nearly nine out of 10 employers (87%) say they should, compared with 54% of employees. 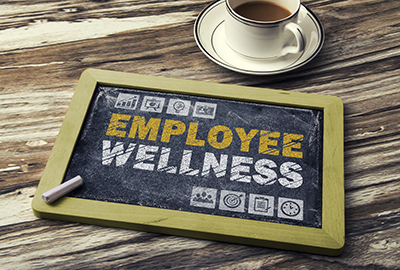 To escalate efforts to support employee well-being, employers report that over the next 3 years they will focus on all four components of well-being, including physical, emotional, social, and financial well-being. Of these, after physical health, emotional well-being is emerging as the number one priority: Nearly six times the number of employers (71%) expect to take steps to improve employees’ emotional well-being over the next 3 years, compared with 12% today. Assessing policies and procedures for response to workplace behavioral health emergencies, such as suicide or violence: 37% of employers have already done so; 6% are planning it for 2018, and 15% are considering it for 2019. Developing a companywide behavioral health strategy or action plan: 21% of employers have already done so; 13% are planning it for 2018, and 23% are considering it for 2019. Implementing programs to address specific chronic behavioral health conditions, such as depression and autism: 30% of employers have already done so; 6% are planning it for 2018, and 19% are considering it for 2019. Offering training and coaching to managers to help them identify emotional health issues, stress, and life events that can impact work performance: 21% of employers have already done so; 11% are planning it for 2018, and 19% are considering it for 2019. Regarding employers’ plans to increase support for the remaining components of well-being over the next 3 years, dramatic shifts are expected to continue: 84% of employers plan steps to improve employees’ physical well-being, up from 27% today; 66% are increasing support to improve financial well-being, up from 16%; and 49% expect to encourage improved social well-being, up from 12%. “Employers know that healthier and financially secure employees are also more productive employees,” said Julie Stone, a national health care practice leader at Willis Towers Watson. “However, as they focus more deeply on employee well-being, they are finding other factors such as workplace stress, anxiety, depression and substance abuse are affecting many employees. While it’s good news that employers are more committed than ever to identifying and managing stress and behavioral health issues in their workforce, the challenges of building a culture of well-being in their organizations can be overwhelming. To view an infographic of the report findings, click here.